Is your chiropractic blog, Facebook page or drip email campaign empty or stale because you dislike writing? Or perhaps you are too busy seeing patients and running your practice to make time for writing – despite your best intentions. The Best Chiropractic Articles service from PracticeLight Internet solves this problem by delivering five professionally written articles every week directly to your email inbox. The articles are well researched and professionally written in an engaging tone. The accompanying training videos teach you five different ways to publish each article – both online and offline – for maximum practice exposure. 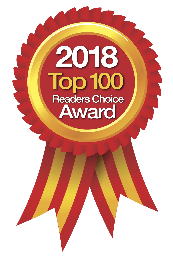 Best Chiropractic Articles members receive a total of 20 articles every month split between chiropractic-specific topics and general health/nutrition. Not every article will be right for every practitioner. Instead, the goal is to help each member find eight articles that they can use with zero or minor modifications. That provides enough content to be active on your blog, your Facebook page and in your drip email campaigns twice per week. Members receive full private label rights to edit the articles and publish them under their own names. Each article is between 400 and 600 words long, includes appropriate references for any health claims, and is accompanied by a matching, royalty-free professional photo image. Best Chiropractic Articles makes it simple and quick to keep your name and message in front of potential patients by ensuring that you always have something to say. Imagine a full-time salesperson working in your front office informing every patient about who you are and what you do for only $5 per day. How is this possible? As a chiropractor, you are constantly confronted with the dilemma of offering fine products and services for your patients, but lack the time to market them without becoming the salesperson instead of the doctor. CaerVision can do that work for you. Their service helps you build the strength and success of your practice daily. Their customization options include videos that raise awareness for particular services and products. The national average wait time to see a physician is thirty miutes. Most patients feel this is wasted time. For you, it is a missed opportunity to help build and increase your practice’s revenues. A step above a DVD, the CaerVision Chiropractic Network provides educational topics for patients, along with product advertisements and content specific to your location. Updates are delivered monthly through your existing Internet connection, eliminating any hassle for you and your staff. 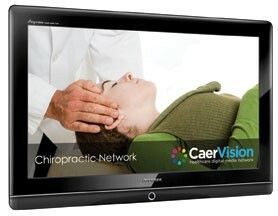 By installing one of their state-of-the-art education systems featuring the CaerVision Chiropractic Network in your waiting and/or treatment room, you can receive automatic content updates to educate your patients on the many services, treatments, and procedures you offer of which they may not be aware, therefore increasing your revenue. CaerVision has partnered with Core Products International, to offer a Free 32” HDTV to every qualified applicant. To see if you qualify or to get more information, contact CaerVision today. Statistics show that 80 percent of the U.S. population are unhappy with their physical appearance. Even patients who control their weight well are often frustrated with their body shape. i-Lipo from Chromogenex (South Wales) enhances dietary discipline by offering non-surgical body contouring and cellulite reduction in as little as 20 minutes without discomfort, side-effects, or downtime. Clinical studies prove that the low energy i-Lipo diode laser, which stimulates targeted fat cells into naturally releasing their stored energy, shrinks fat deposits and shapes the body, even in difficult areas like the thighs and stomach. Patients typically report losing 2 to 4 inches in the waistline following a treatment regimen. Even non-compliant patients are motivated to eat right once they see the possibilities. 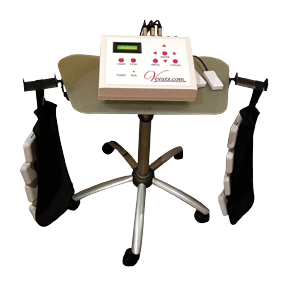 i-Lipo is a top selling shaping technology in Europe and is now available in the United States. i-Lipo is FDA cleared for circumferential and cellulite reduction. Expand your practice, generate additional income and help your patients improve their health and achieve their weight loss goals by offering i-Lipo body shaping treatments from Chromogenex. 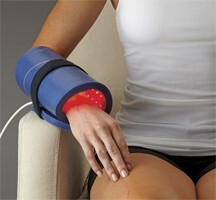 Contact Chromogenex US at 855-GET-ILIPO (855-438-4547) or vist them online for further information. CLEAR Scoliosis Institute's vision is to be regarded as the preeminent alternative approach to scoliosis treatment; a valued, trusted and respected organization committed to studying scoliosis and enhancing the results patients obtain through chiropractic care by utilizing a specific set of protocols. CLEAR Institute believes that the public at large will come to recognize that there are more natural alternatives to scoliosis care than waiting, bracing, or surgery. CLEAR is confident that their scientific research-based methodology will help bring about this public awareness. Moreover, a growing number of chiropractors are participating in CLEAR's continuing education programs; these educational programs are now profitable, enhancing CLEAR's ability to increase public awareness about more natural scoliosis treatment options. While the structural approach to scoliosis can be of benefit to a patient's health in general, many chiropractors have come to realize that to treat and truly positively affect scoliosis, a much more comprehensive and specific set of protocols, using specially designed equipment and processes, must be utilized. Chiropractors are receptive to the fact that they can participate in CLEAR programs for a variety of reasons: continuing education credits, general information they can use in their practices, or as part of becoming a CLEAR Certified Doctor. Ultimately, CLEAR Scoliosis Instituteï¿½s positive relationship within the chiropractic profession has led to a growing number of referrals from chiropractors on behalf of their patients who welcome an alternative to waiting, bracing and surgery. The Educating Wellness Practitioner e-Newsletter Program is a unique program designed to keep your patients informed on health, fitness and wellness, while showcasing you, their practitioner, as the “Wellness Expert.” It actually arms the patient with the knowledge they need to keep themselves and their families healthy, while at the same time allowing the practitioner to stay in constant communication with his or her database. From food choices and recipes to specific exercises, this program is a wonderful compliment to any health care practice. The program consists of a bi-monthly complete e-newsletter customized to the specific practitioner’s clinic, including the clinic name and any clinic current events or happenings. There is also an accumulation of the bi-monthly e-newsletters, turned into PDF format, so the practitioner is able either to hand out this monthly version in the clinic or to use “snail mail” to send it to the entire database. Another strongpoint of this program is that it offers an optional Facebook setup for your clinic and posts the e-newsletter there for you as well. In this day and age, any business unable to keep up with the fast-paced internet communication world is a business that is seriously limiting its own growth potential. The Educating Wellness Practitioner e-Newsletter Program currently offers a 100% risk-free 30-day trial period. For more information, visit EducatingWellness.com/for-practitioners. 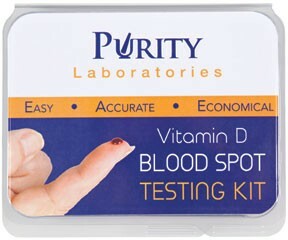 This month, Purity Laboratories, Inc. introduces an innovative laboratory test for checking a patient's Vitamin D status. Only a few drops of blood are needed, rather than a vial of blood, and patients can test themselves from the comfort of their own homes. The kit includes instructions on how to take the test, two lancets, a spot saver card, an alcohol prep pad, a surgical sponge and a latex-free bandage. A requisition form and prepaid return envelope are also included in the kit. When the test is complete, it is placed into the prepaid envelope along with the test requisition form and mailed back to Purity. Results are then sent directly to the person who ordered the test within 5 to 10 business days. Using Purity's testing kit is easy, accurate and economical, and provides doctors with an inexpensive and less invasive way to screen at-risk groups including the elderly, the obese, those with darker skin tones, and people who live in cloudy or otherwise dark climates. To order a kit or for more information call 775-525-2756. Is the insurance healthcare game over? A new healthcare model is emerging, with patients forced to pay for services previously covered by insurance. It is time for your practice to evolve. Physicians Business Solutions (PBS), with CEO Dr. Steve Peyroux, DC, will show you how an integrated wellness model can make your practice more profitable and expand the range of services available to your patients. 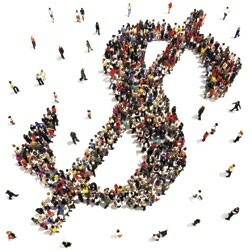 PBS will assist you in establishing a full-service, philosophically intact integrated center. They expand your current practice model while drastically increasing services and, at the same time, your compliance. They offer a complete training system utilizing the latest methods that increase rate of learning as well as retention. Not only do they have a remarkable 24/7 website that gives visual as well as practical application of all of their systems, but also unlimited, one-on-one consulting to quickly move you through the implementation process. Additionally, they are the only company that sets up - and runs - live training across the country every other month. The different staff members are trained in separate rooms to significantly increase the amount of material given due to dividing the specialties and training them fully. This includes your insurance department, medical staff, rehab staff, case managers, and you, the owner. 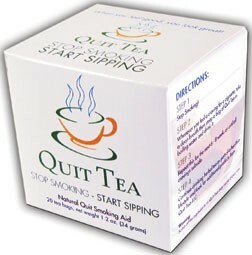 Quit Tea is a natural stop smoking aid that helps alleviate a wide range of the problems associated with quitting smoking. The herbs and spices in Quit Tea help by reducing the anxiety and stress common with nicotine withdrawal, they suppress appetite to reduce post quitting weight gain, detoxify the body, and improve lung function. Most importantly Quit Tea helps break the psychological addiction to cigarettes by replacing the habit of smoking with one that is healthy; the key to long term quitting success. Quit Tea has shown to be effective, and is recommended by professionals. Quit Tea is used by smoking cessation counselors, chiropractors, acupuncturists, respiratory therapists, and more, all across the United States and Canada, to supplement their smoking cessation therapy. Quit Tea works with cold laser therapy, acupuncture, hypnosis, behavioral modification, and other treatment options, to increase success in-between in-office sessions. The Sacro-Occipital Research Society International (SORSI), created by Dr. M.B. 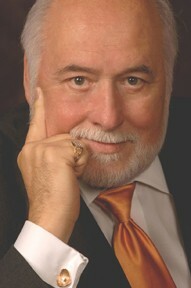 De Jarnette, founder and developer of Sacro-Occipital Technique (SOT™), is the parent organization of an international group which includes Japan, Australia, Europe, and South America. Dr. De Jarnette developed an intricate system of diagnosis and treatment of a broad spectrum of ailments that affect the human condition, and introduced a category system for diagnosis and treatment of instabilities of the pelvis and lumbosacral support systems of the spine. SORSI is proud to announce their teaching schedule for 2015. From January 29-31, SORSI will participate in Parker Seminars Las Vegas, where they will address the subject of Treating Head Traumas in Adults And Children & Post Concussion Treatments. SORSI’s Mid-Year Chiropractic Research And Education Symposium, titled Post Concussion Syndrome: Identification and Treatment, Become Your Local Expert, will be held April 24-26 in Kansas City, Missouri. SORSI’S Homecoming Seminar is scheduled for November 4-8 in Denver, Colorado. SORSI seminars offer a broad spectrum of learning opportunities in the fields of SOT methods, neurology, CMRT, cranial corrections, pediatrics, and practice management. They feature an impressive line-up of instructors with decades of teaching experience in clinical practice, and they also offer clinical education hours, continuing education credit hours, and neurology through the Carrick Institute. For a complete list of instructors and additional information on courses and registration, call SORSI or visit their website. 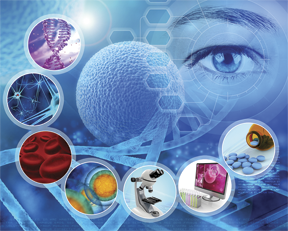 Stem Cell Institute of America (SCIA) trains and partners with healthcare practitioners all across the U.S. to provide regenerative cellular medicine which is often also referred to as "stem cell treatments." With over 200 clinics nationwide, SCIA partners with physicians to help patients avoid surgery and unnecessary drugs. Stem Cell Institute of America's protocols offer significant health improvements in back pain, neck pain, arthritis pain, muscle and ligament injuries, shoulder pain, joint injuries, knee pain and knee arthritis, sciatica leg pain, peripheral neuropathy, disc herniation and disc bulges, spinal stenosis, failed back surgery treatment, and other conditions. This treatment may be among the most impactful non-drug, non-surgical protocol in generations. Chiropractors become chiropractors because they are passionately dedicated to getting and keeping patients healthy, without the use of harmful drugs and chemicals or dangerous surgeries. Combined with chiropractic care, regenerative cellular medicine presents a bold option for clinicians to improve and enhance their patients' health. Doctors can visit www.americastem.com/research/ to learn about the significant research that supports the effectiveness of stem cell therapy. For additional information, call 800-391-6040 or visit www.americastem.com and click on the register button to join in on a practitioner webinar. The Wise DC.com provides subscribers with a choice of 24 cutting-edge topics, offered in 6-hour, 8-hour, 10-hour, 12-hour, 15-hour and 16-hour modules. This format allows the subscriber to meet the hourly requirements for their particular state. This is continuing education made simple: read the text, complete the multiple-choice quiz, instantly print out your certificate of completion. The Wise DC.com online courses allow you to learn at your own pace, in the comfort of your home or office, at any time of the day or night, 24 hours a day, 7 days a week. 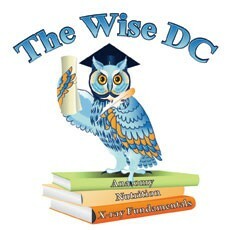 The Wise DC.com is a wise, cost-effective choice for all of your continuing education needs. By taking their online courses, you completely eliminate all travel expenses typically incurred when you take an on-site seminar. And their excellent customer service helps make your online education a positive experience. All of The Wise DC.com online courses were created by Dr. Lou Camilli to promote the chiropractic profession and to facilitate the continuing education process. In 1994, Dr. Camilli began offering his live seminars all across the country and pioneered the transformation of onsite seminars to internet-based learning for doctors of chiropractic. The Wise DC.com is sponsored by Texas Chiropractic College. For pricing and other information, call The Wise DC or visit their website. Ulan Nutritional Systems, Inc.’s (UNS) training center in Clearwater, FL, teaches health practitioners to successfully incorporate nutrition into their practice. The various training programs offered through UNS are all based on Dr. Freddie Ulan’s experience in building his own successful nutritional practice in Glen Falls, NY. Incorporated in 2005, UNS has grown to a staff of over 45 dedicated employees. Five of which are doctors of chiropractic and experts in the field of nutrition. 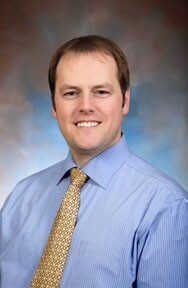 Dr. Ulan founded UNS with the initial intention to teach other chiropractors his technique, called Nutrition Response TestingSM. His Nutrition Response Testing workshops are now given in over 25 major cities in the U. S. each year. The skills that health care providers learn in these workshops are then developed further through the Intermediate Nutrition Response Testing workshop, available only in Clearwater, FL. In addition to the tools offered via the Intermediate workshop, practitioners can also gain invaluable patient management skills through UNS’ Patient Management workshop. This workshop continues to be a mainstay of the training lineup. 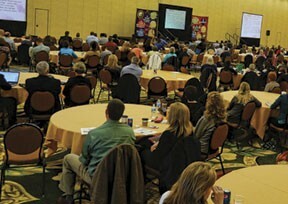 Its attendees learn how incorporate a highly profitable and effective nutrition component to their practice. 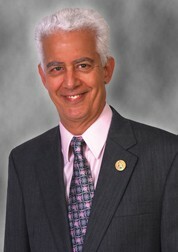 Dr. Ulan’s vision of an army of clinical masters found its realization in the creation of his Advanced Clinical Training program (ACT), a 150-hour postgraduate-level course that shares everything that he and his New York clinic partner, Dr. Lester Bryman, evolved over decades of experience dealing with nutritional patients. 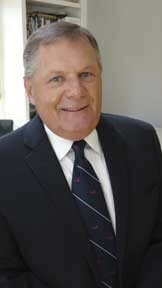 Bryman, the Dean of the ACT program, is the 2008 recipient of the prestigious Standard Process lifetime achievement award. Since the first ACT graduation in 2006, UNS has graduated over 200 master nutritionists. In addition to its wide array of training options, UNS also provides test kits, lasers, exclusive nutritional products, equipment and an entire library of DVD’s by Dr. Ulan. All of which were created with the intention of helping new and existing nutrition practitioners to augment their practices. From eliminating stretch marks to reducing weight and cellulite to reducing pain and inflammation and more, Slim Line System Laser Like Lipo helps practitioners achieve remarkable results with light therapy when other treatment options have been unsuccessful. With their turnkey system, they also help doctors market their new treatment offering. Once you choose the Vevazz device that best suit your needs, you can then select the accompanying Slim Line System, or you can simply purchase the Slim Line System to use in your office. Unlike many other protocols of this kind, this treatment takes only 7 minutes. With one machine and one room, you can treat 2 - 3 times as many patients, and you can convert these patients to regular cash-paying patients, at around $2,000 per-patient-value. The aesthetics market has grown over 900% in the past 6 years, so it is easy to see how this treatment system can help boost practice revenue. Dr. Jamie Fettig, founder of Vevazz, offers a full 2-day training system, complete with marketing and business expertise on running your whole practice. You receive training and support from a chiropractor who has successfully done this in practice. National Health Education Society, Inc.